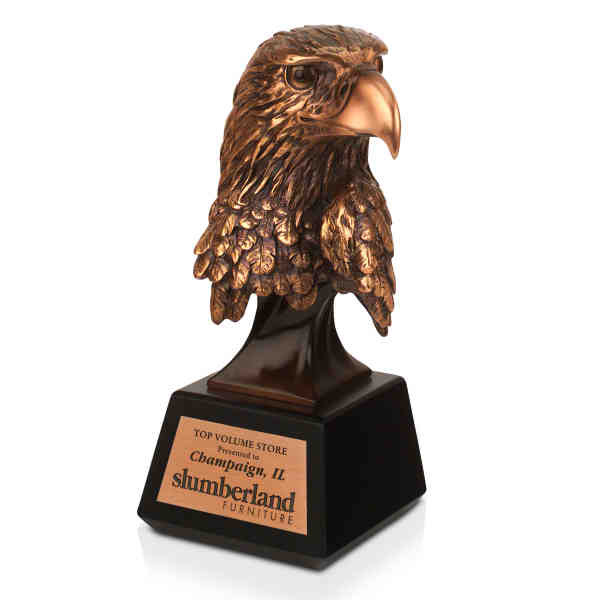 Size: 3.5 " x 8 " - Recognize levels of achievement with an American eagle. Each resin statue includes an etched metal plate that incorporates a beautiful bronze finish. Size: 3.5 " x 8 "
Imprint Size:3.375" x 1.75", 3" x 1.5", 2.75" x 1.5"